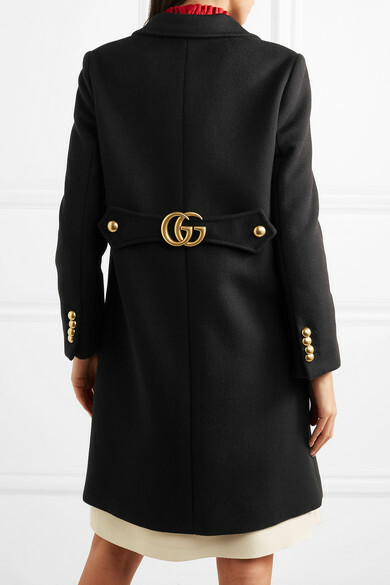 When Alessandro Michele revived Gucci's archival 'GG' logo in 2015, he essentially kick-started the logomania trend, which is still going strong today. 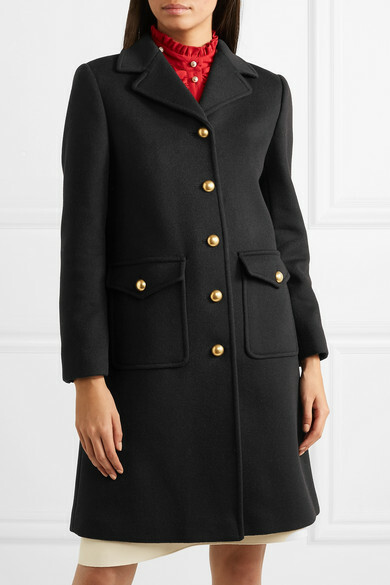 This classic coat is cut from smooth wool-felt in a knee-length silhouette. 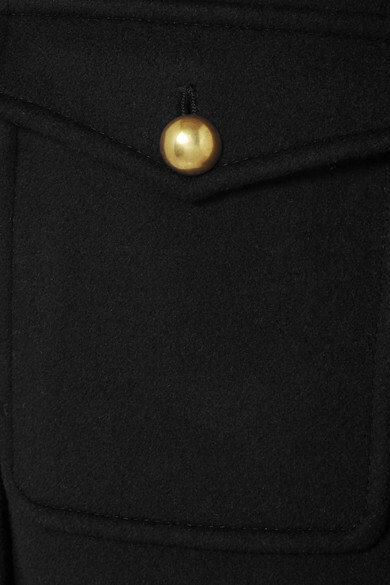 It's minimally detailed with elegant gold buttons and the iconic plaque on the belt at the back. 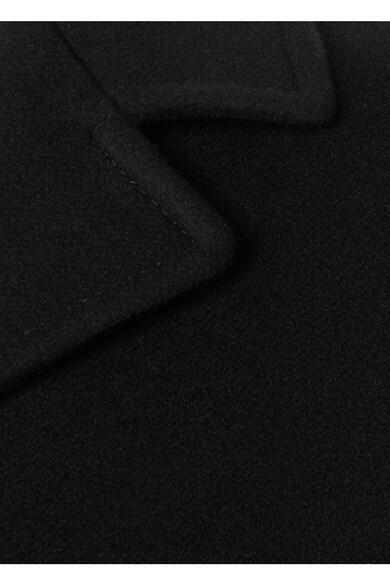 Slip yours on over anything, from a sophisticated dress, to jeans and a sweater - you'll feel extra polished either way. 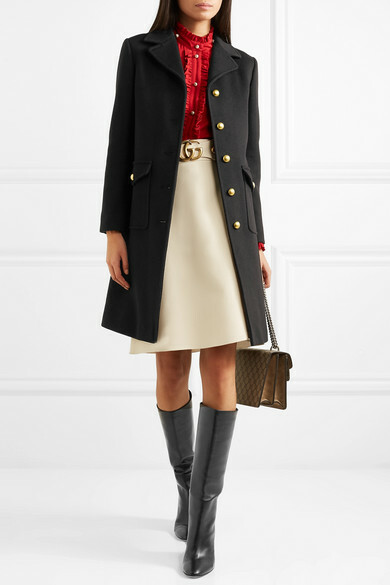 Shown here with: Gucci Skirt, Gucci Shirt, Gianvito Rossi Boots.